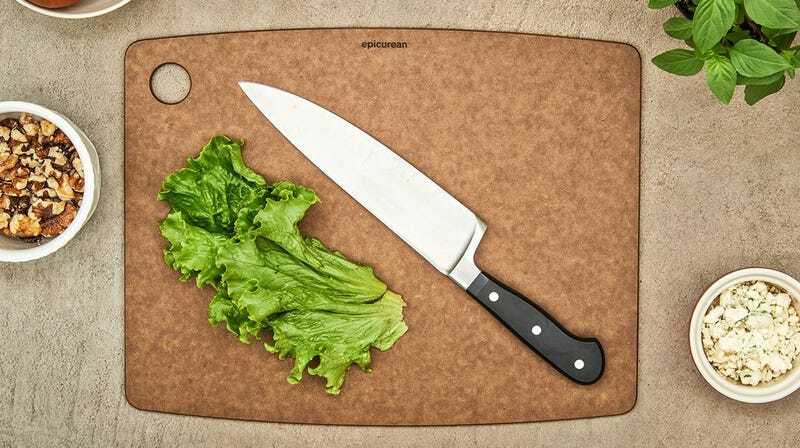 Two inch-thick, Instagram-ready butcher block cutting boards have their place, but for most food prep, Epicurean’s reader-favorite cutting boards make a lot more sense. 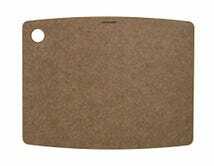 Made from 50% recycled cardboard composite, they’re hangable, heat resistant, and most importantly of all, dishwasher-safe. We recommend having several, so that you always have a clean one at the ready. 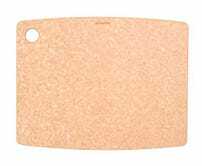 Today on Amazon, this 14.5 by 11.25-Inch board in “Nutmeg” is down to $20, about $5 less than usual. The “Natural” version is also the same price, but that’s less unusual a deal, for whatever reason.